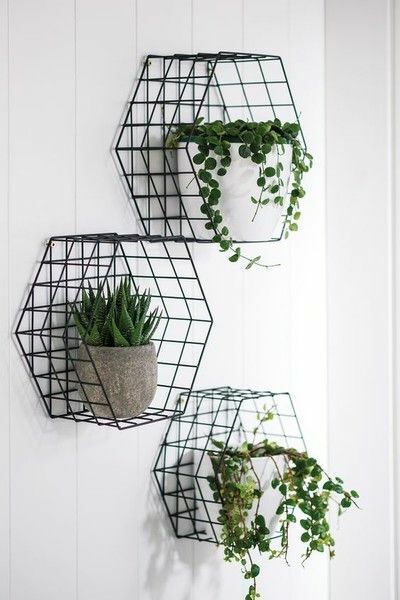 There are a lot of inventive, and inexpensive, wall decor ideas you can use to create features in your rooms where none exist. There are lots of different ways to make your rooms, no matter what the size, feel perfectly put together. The key is taking your wall decor to the largest open spaces of all; your walls. Adding features adds character to your empty walls and opens up a world of possibilities. 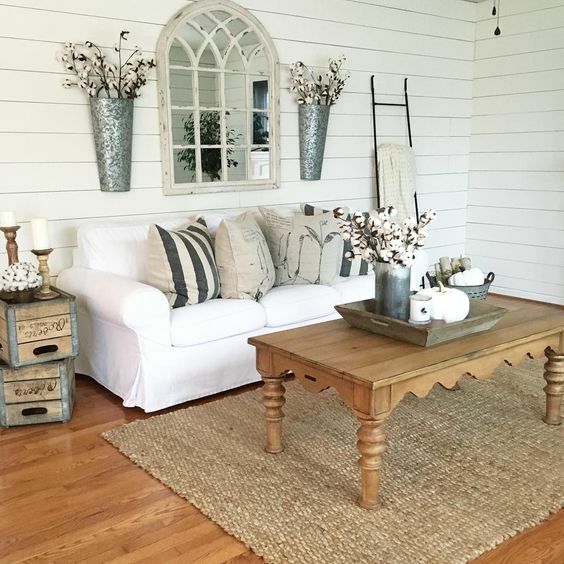 These are the decorative elements that make your home unique, cozy and stylish. Whatever your home decorating style, there are ways to accentuate your walls with personality and taste. 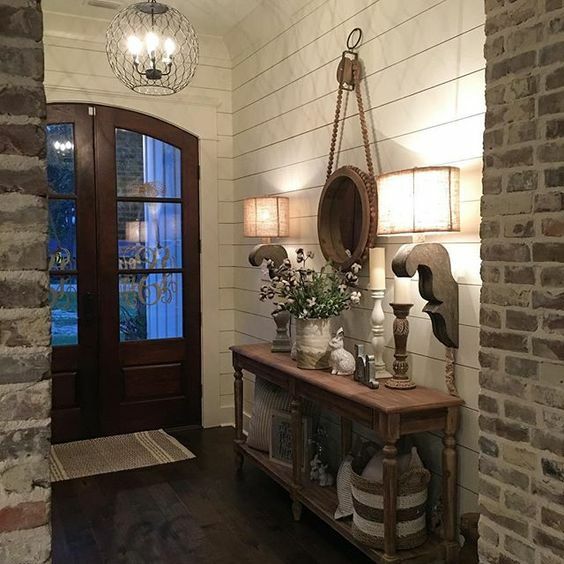 A Farmhouse wall sconce for flowers, candles or lights, create a great looking feature without taking up floor space. Your sconces need to be a reasonable size, if your design is also work as wall art. 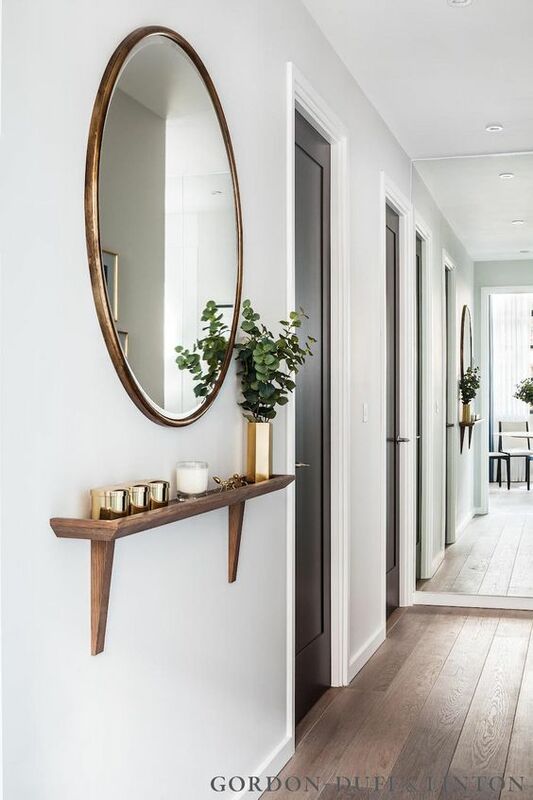 If your flower sconces are purely for show, cut one large sconce in half and add them either side of a fireplace or mirror. 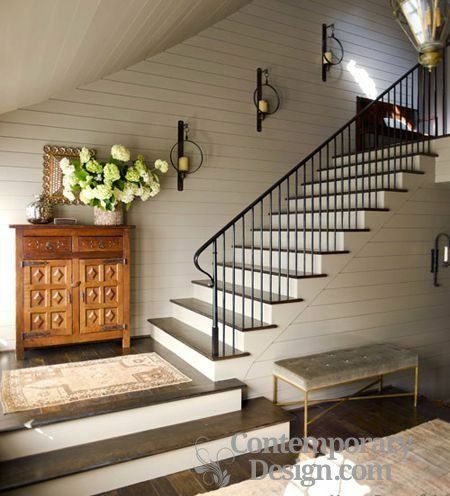 These candle Farmhouse wall sconces are perfectly placed on the stairs and make the space feel interesting and important. Its a great feature that is easily added to stairs, kitchens, hallways and entries. The trend for wall decor ideas is towards large scale pieces, drawing the eye immediately towards your wall feature. That's because larger pieces make the room feel bigger, more spacious and inviting. 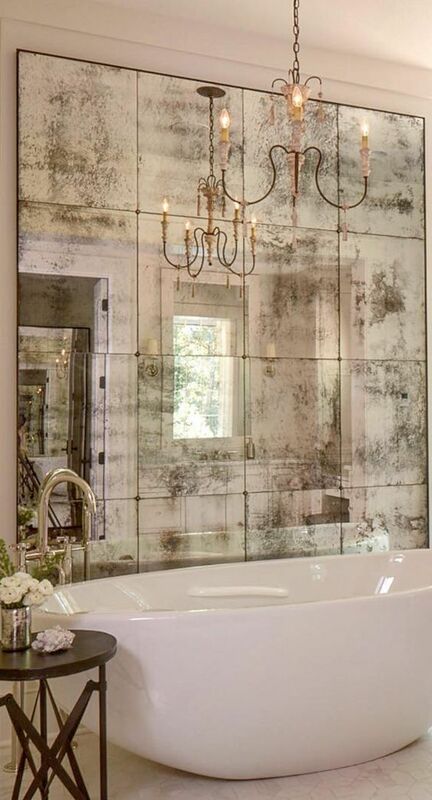 Using an antique mirror has character, age and makes the room feel much larger, but it is expensive. There is of course, a simple DIY method. If you love this look, you can easily recreate it. Follow the video below for a straightforward DIY antique mirror look using clear glass. Its not difficult but make sure you watch the video first. This is a decorating technique you can use on kitchen glass cabinets, dressers, wardrobes and on beautiful architectural features like windows to create stunning wall decor. Step 1: If you are making your mirror from a frame with glass, remove the backing board and the frame. Set these aside while you work on the glass. Step 2: Place the glass on a drop sheet. Clean it thoroughly. Allow to dry. Step 3: In a spray bottle add a 1:1 solution of water and white vinegar. Lightly spray this solution over the glass. If you would like a heavily aged result, use more solution. If you have sprayed too much, simply take a paper towel, dab it over the glass to blot away any excess. Step 4: Quickly spray glass with a light coat of mirror-like paint. One of the easiest mirror-like paints is Krylon Looking Glass mirror paint for painting a mirror look, but there are lots of other good products. They range from $19 down to $8. After using the mirror paint, allow it to dry/evaporate, then do the process again, starting with the vinegar solution and another coat of mirror-like paint. Again, leave for a few minutes to dry, and blot away any excess solution with your paper towel. Step 5: Do this process 1-3 times to create your antique mirror, each time allow the paint to dry before reapplying. After 1 hour, one side of the glass will appear matte while the flip side will be reflective. Step 6: Before you place the glass in the frame, spray paint the backing board in dark gray or black. Step 7: Once the backing board is dry, its time to add it to your frame. Place the reflective side of the glass down, followed by the painted backing board behind the glass. Tape, to the frame and hang. Plants don’t always have to sit on the floor or on a windowsill. Wall-mounted planters add nature to your space, purifying your air and adding life to your walls. If you’ve run out of floor space for cabinets or bookcases, create a feature using floating shelves. 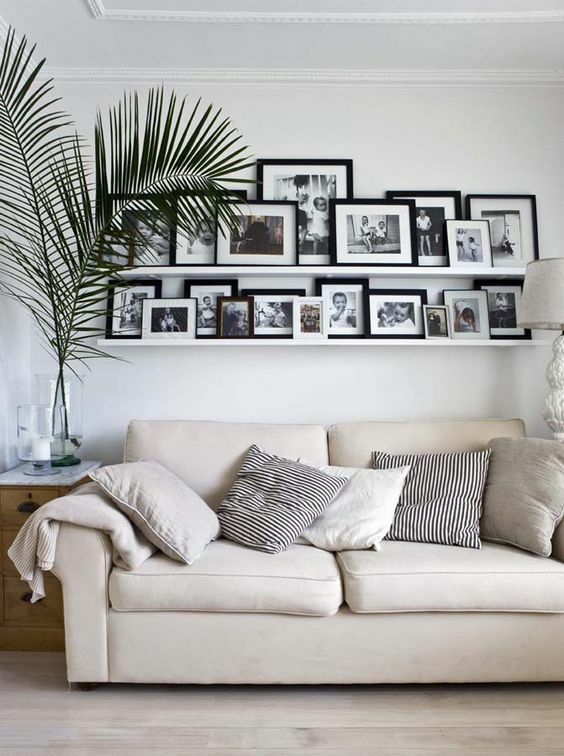 In your living room, hallway or bedroom, you can create a feature from family photos that you can add to, change and enjoy for years to come. 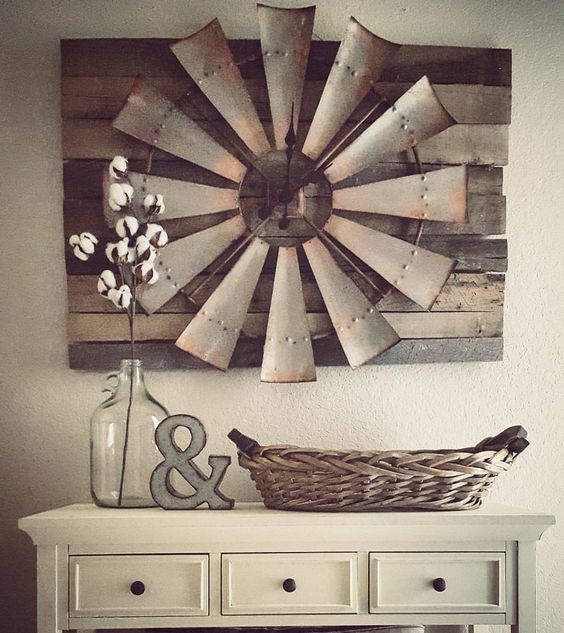 Go beyond family photos, and add art, wood pieces, baskets or old signs. Anything that makes the wall unique, different and a conversation piece. Thin floating wall shelves are great wall decor ideas, particularly in smaller spaces that need some attention. Use them in hallways, end of hallways, and empty corners to display hardcovers, candles, flowers, small sculptures, and other pieces. 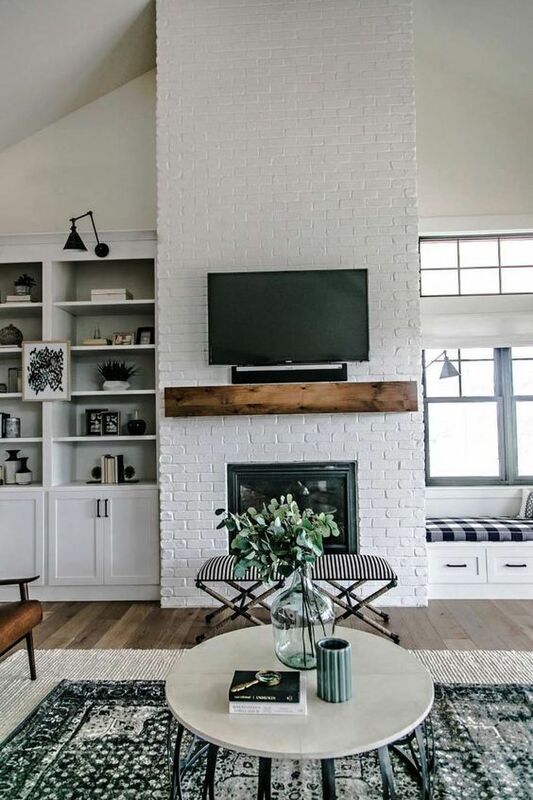 Of course, a floating shelf works beautifully as a fireplace mantel. You can create wonderful pieces from almost anything. This over-sized windmill on a stained pallet has a clock in the middle, making it functional as well as warm and rustic. 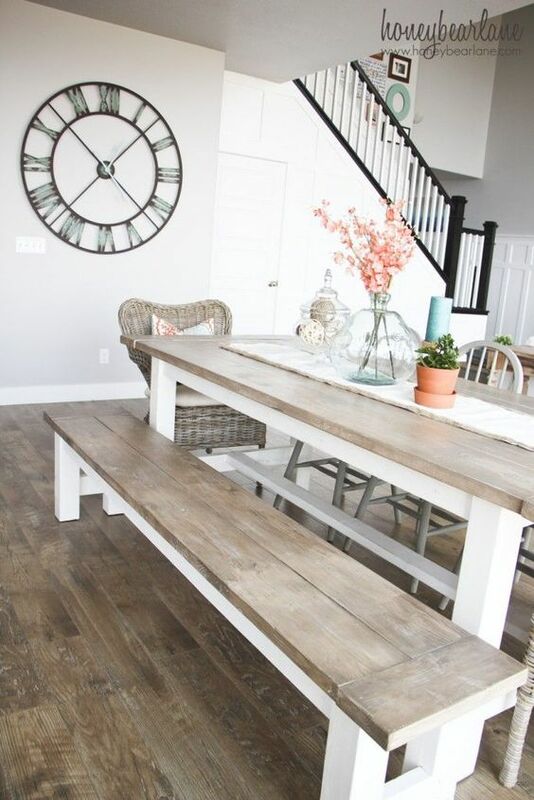 Large farmhouse clocks, signs and even a tic tac toe game are all inviting wall decor ideas. 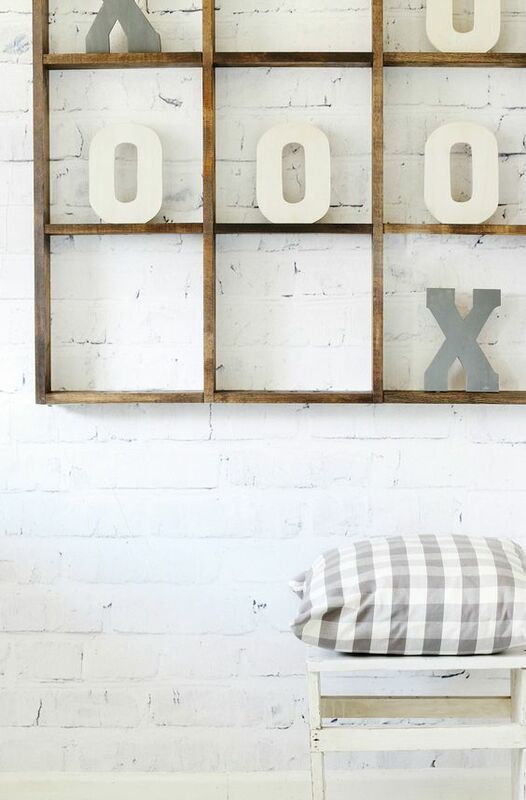 You can make this tic tac toe game from Thistlewood Farms with a few DIY skills and materials. Its a great talking piece. These are just a few ideas. Don't forget the walls themselves, using textured wallpaper, stenciling, and other decorative paint techniques.